Energy bites and balls have become a popular snack option for people trying to eat healthier. They're similar to granola bars but without all of the sugar and sodium. They are also easy to prepare and convenient to eat—all you do is blend and roll into balls. 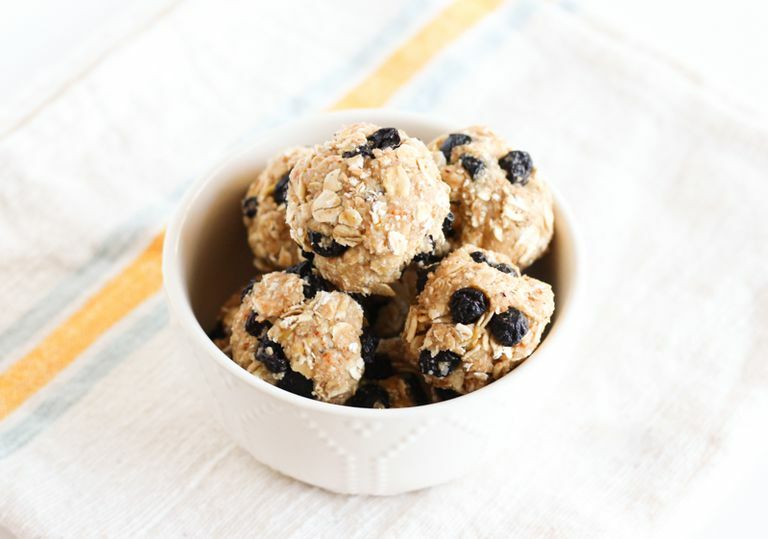 These lemon blueberry energy bites are made with blood pressure-friendly whole grain oats, almonds, and blueberries, and just a hint of honey. The combination provides satisfying protein and fiber, as well as magnesium and potassium. Pulse 3/4 cup of the oats, almonds, lemon juice, lemon zest, and honey in a food processor until smooth. Pour into a bowl and stir in remaining oats and blueberries. Pinch off tablespoon-size pieces and roll into balls. Store in an airtight container in the refrigerator or freezer. You may use quick-cooking oats for a smoother texture. Any unsweetened dried fruit will work, but I prefer the flavor of blueberries with lemon. Make a batch on a Sunday for a week’s worth of easy, healthy snacks that you can grab and go. I like to store these in the refrigerator so that they are nice and cold, but if you can’t help but pop more than two at a time, you may try keeping them in the freezer. With energy bites, you should be aware of portion sizes. Because they are made with nutrient-dense foods, they pack plenty of energy into a small snack. Two snack balls are the perfect serving size, so be careful not to go overboard!